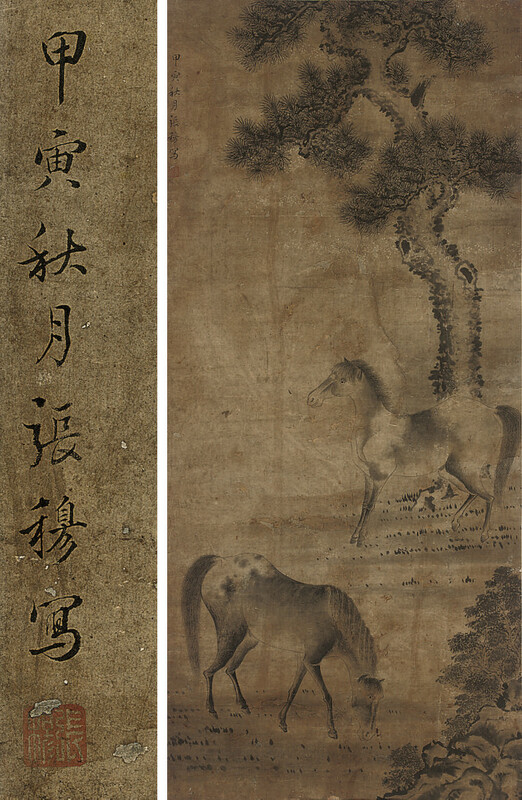 painted in ink on paper with two horses, one grazing, the other standing before a pine tree -- 47¼in. x 21¼in. (120cm.x 54cm. ), with signature and with one seal.